The Commissioner For Special Duties, Lagos State, Wale Ahmed has dispelled the notion that the use of face masks prevents the contraction of the ebola virus disease , saying that the disease is not airborne. He also noted that the Ebola virus cannot be contracted by someone who has just had the symptoms but can be contracted by someone who is visibly sick. “It cannot be transmitted during its incubation period which is between 2-21 days. Referring to the recent case of a nurse that had contact with the late Patrick Sawyer and escaped to Enugu, but has been brought back to Lagos, the commissioner said that the nurse was not under the care of the isolation centre at Infectious Disease Hospital, rather a controlled environment;” we have beefed up security with the help of some foreign healthcare workers who have advised on the amendments to be taken in order to prevent such action” mr. ahmed said. 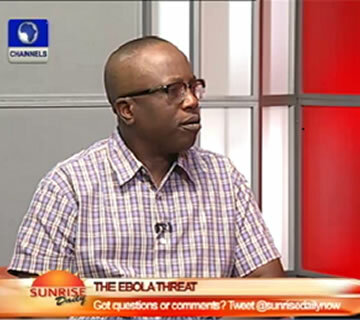 Speaking as a guest on Channels Television’s breakfast programme, Sunrise Daily, the commissioner acknowledged that certain preventive measures should have been taken at the time the late Patrick Sawyer was at the airport, “If the airport health facilities were working properly Mr. Sawyer shouldn’t have been allowed to leave the airport” he added. He also added that most of the facilities used at these isolation wards is what has been kept for a later use but had to be used due to the spread of the virus in Lagos. The Commissioner mentioned that presently there are over 200 people under surveillance both in primary and secondary contact. He said that primary contact are put under quarantine and are about 200 while the secondary contact are put under observation with people watching over them to check if there is an increase in temperature. Tragedy struck in the early hours of Thursday at Oworonshoki area of Lagos as a pregnant woman and five others were electrocuted by a live cable that reportedly fell on a vehicle loaded with petrol. Eyewitness account said that the vehicle exploded, setting the entire environment on fire. 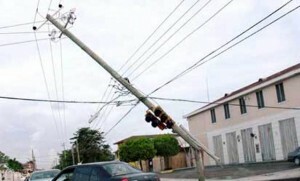 Confirming the incident, the Commissioner for Special Duties, Dr. Wale Ahmed, said that the incident occurred at number 6 and 8 of Onabanjo Street and that a Power Holding Company of Nigeria cable sparked when power was restored. He said that the spark was so forceful that it detached one of the live cables from the pole and landed on a vehicle loaded with 50 liters of PMS, resulting in the explosion. Describing the incident, the eyewitness explained that the victims on hearing the explosion of the vehicle, rushed out of their homes but unfortunately ran into the detached live cable in front of their house and were all electrocuted. The Director of the Lagos State Fire Service, Mr Rasak Fadipe, also confirmed the incident. He said that his men were able to contain the fire from spreading to nearby buildings. The incident happened around 2.00 a.m. and the victims included three teenagers, a pregnant woman and another woman. 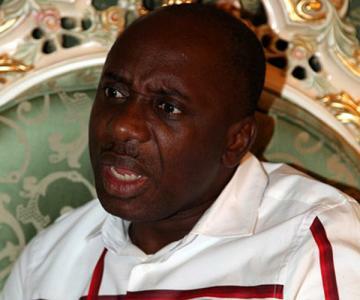 Rivers State Governor; Chibuike Amaechi has sworn in six new female Permanent Secretaries and warned the new officials not to be involved in any corrupt practice. Swearing-in the six female Permanent Secretaries at a special occasion at the Council Chamber of Government House in Port Harcourt, the Rivers State capital on Wednesday, Governor Amaechi while congratulating the new Permanent Secretaries, said they were appointed on merit and urged them to be fair and just as they contribute to the growth of the state’s sub-national economy. Those newly sworn-in permanent secretaries are Dr Offor Nnesochi, Mrs Iragunima Comfort and Mrs Clara Gogo Princewill. Others are; Mrs Amie Nemi Iwo, Mrs Wihioka Comfort and Dr Justina Jumbo. The governor explained that the appointment of the six female permanent secretaries will increase the number of female permanent secretaries in the state civil service. He also directed the Chairman of the State Civil Service and the Head of Service to put measures in place to promote civil servants who perform well and punish those who don’t, stressing that only civil servants deserving promotion should be promoted. Meanwhile, at the state’s New Year banquet in Government House in Port Harcourt, Mr Amaechi Amaechi relieved the Commissioner for Special Duties; Mr Emeka Wogu of his appointment and replaced him with Mr Omunakwe Dickson, whose name will be sent to the Rivers State House of Assembly for confirmation. The governor also used the party to take stock of fulfilled government promises to the people of the state on roads and other infrastructures in the past year, noting that his administration faced some challenges during the past year. He reassured the people of improved power supply in the state in the New Year, commencement of work at the Greater Port Harcourt City, Port Harcourt water supply and the repair and completion of roads in various parts of the state amongst others. The Lagos state government has described the three days warning strike by medical doctors that has commenced in the state’s medical institution as illegal. The Commissioner for Special duties, Dr Wale Ahmed told Channels Television that there has been no written notices before the strike commenced as stipulated by labour laws. “There was supposed to be a fifteen day notice before the strike but we only heard of the strike verbally” stated Dr Ahmed. The Lagos state Head of Service has also warned that any doctor that participate in the strike will not be paid fees accruable during the period. 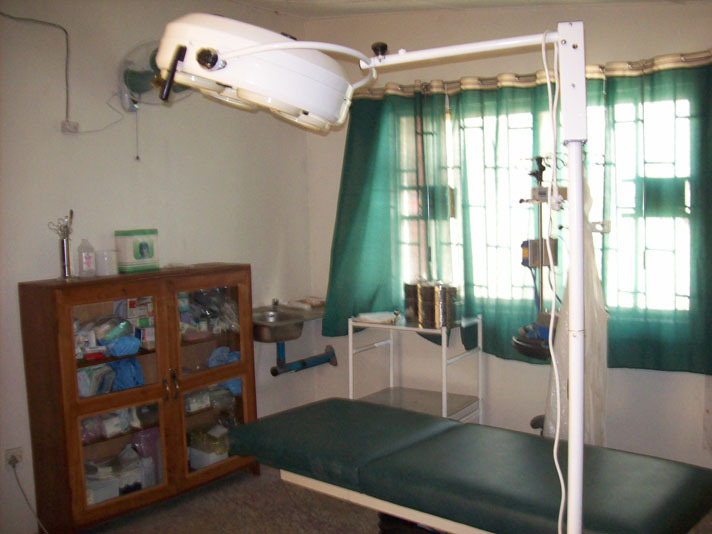 There are 24 general hospitals owned by the Lagos state government and patients who visit the clinics as from today will not get services from the doctors who are embarking on a three day warning strike under the aegis of the Medical Guild. According to the Chairman of the Medical Guild, Dr. Olumuyiwa Odusote, the doctors were forced to embark on the industrial action following the failure of the state government to implement the wage agreement it reached with the union. “The state government has continued to fool the doctors with what he described as ‘flimsy excuses’ not to pay the approved and signed salary structure by Governor Babatunde Fashola. It is unfortunate the state government has refused to prevent the strike” said dr Odusote. Members of the Medical Guild had threatened to embark on the warning strike to press home their demands for the full implementation of the Consolidated Medical Salary Structure, CONMESS, as well as the downward review of excessive taxation. But the state government, Odusote said, did not do anything to stop the action. He also disclosed that the meeting between the government and medical guild last Wednesday ended in a stalemate, as he alleged that government had been reneging on its promises and shifting time for the implementation of the agreement. “It is unfortunate that our government is speaking from both sides of the mouth. While one of them will say we have agreed to pay, another will be telling us that they are not ready to pay. Afterwards, the latter will deny that he or she ever said that. How then will you believe such people? “At the meeting last week, after one year, the state government was busy justifying the reasons why they have not fully implemented the agreement we entered into last year” he said. Odusote, appealed to the people of the state to prevail on the government to fulfill its promise in order to prevent another crisis in the health sector. However, the Commissioner for Special duties claimed the government has implemented the CONMESS agreement reached with the doctors. He noted that “between 2008 and now, the salary of Lagos doctors has doubled.” “A house officer in LUTH gets the same amount a house officer gets in the LASUTH or any general hospital in the state” he said. “This strike is illegal, unless if they are saying any little problem we have, they will pull down the heaven” he added.